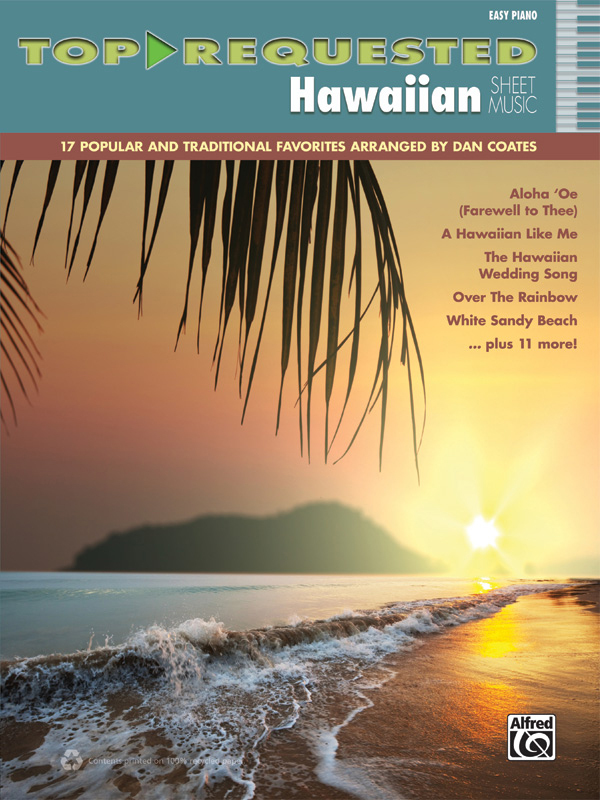 * For pianists who love Hawaiian music, this collection contains easy-to-play arrangements of traditional songs, standards, and popular hits that transport listeners to an island paradise. * This practical songbook focuses on the songs and styles that today's audiences associate with Hawai'i, so it's guaranteed to entertain! * Titles: 'Ama 'Ama (Israel "IZ" Kamakawiwo'ole), Aloha 'Oe (Farewell to Thee) (Elvis Presley), Better Together (Jack Johnson), E Ku'u Morning Dew (Israel "IZ" Kamakawiwo'ole), A Hawaiian Like Me (Israel "IZ" Kamakawiwo'ole), Hawaiian War Chant (Ta-Hu-Wa-Hu-Wai) (Bob Wills and His Texas Playboys), The Hawaiian Wedding Song (Ke Kali Nei Au) (Elvis Presley, Andy Williams), Henehene Kou 'Aka (Israel "IZ" Kamakawiwo'ole), Ka Huila Wai (Israel "IZ" Kamakawiwo'ole), Love Song of Kalua (The Brothers Cazimero), Lovely Hula Hands (Don Ho), Mele Kalikimaka (Bing Crosby), Over the Rainbow (Israel "IZ" Kamakawiwo'ole), Sweet Leilani (Bing Crosby), Tiny Bubbles (Hua Li'i) (Don Ho), What a Wonderful World (Israel "IZ" Kamakawiwo'ole), White Sandy Beach (Israel "IZ" Kamakawiwo'ole).